Today we want to do something different. While we typically share great articles featuring awesome recipes, helpful tips and tricks, and handy project tutorials, today we want to share something different and exciting. 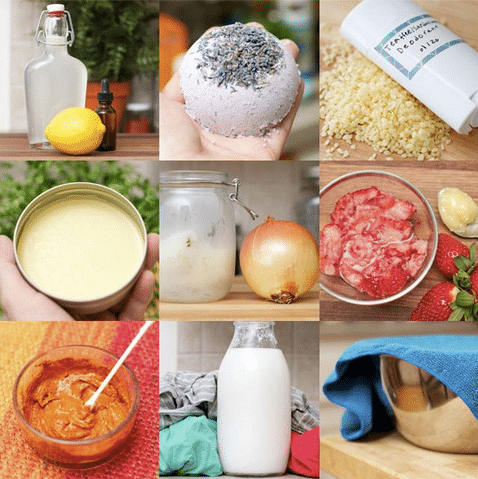 Clair Goodall, from everdayroots.com – one of the top natural living websites – has just released her book 215+ Home Remedies, Natural Beauty Recipes and DIY Household Products. We’ve had the great pleasure to explore Clair’s book, and find it be an invaluable resource for living naturally and healthfully. This is a thorough guide with 100+ Home Remedies, 75+ Natural Beauty Recipes and 35+ Household Products & Cleaners! And you can grab your own copy now at the introductory price. ✔ Save money from never buying expensive conventional products again! ✔ Switch from toxic cleaning products to effective and all-natural cleaning methods! ✔ Restock your medicine and beauty cabinet with natural ingredients that actually promote health and beauty! This means you can get back to your roots by saying good-bye to chemicals and toxins, expensive beauty regimens, and OTC medications. We’re just thrilled to share Clair’s book with you. Download The Everyday Roots Book now and get started planting you roots to take control of your lifestyle.